Paul Starr, Ireland's leading cardiologist dies in a car crash with a pregnant young women by his side. As they begin to form unlikely friendships, Paul's death proves to be the catalyst that enables them to become the people they always wanted to be. This was a really unusual book, dealing with some difficult subjects that could quite easily have been depressing but for the natural positivity of an Irish author. Faith Hogan has written an outstanding book that had me absolutely riveted as I watched strange relationships develop before my eyes like a polaroid photograph. Paul Starr is a charismatic ladies man. As a heart surgeon, he certainly knows his way around a woman's heart as he moves from one woman to the next without completely letting go of her predecessor. When Paul dies in a car crash all four women are thrown together and united in their grief. I struggled a bit with Paul's treatment of his women; I was so angry at first that he could move from one to the other but as the story went on it was clear that he did love them all. As the relationships developed between the four women, and their lives became richer because of it, my feelings towards Paul softened as the past cannot be changed and he wasn't there to blame anyway. It was really interesting to see how different people deal with grief and who's to say which way is right and which is wrong? I also liked the portrayal of how we often have preconceptions of people we know very little about. How can we dislike somebody we haven't met? Yet we often do! The human race is strange indeed and Faith Hogan has managed to fit many facets of it in her brilliant debut. With many diverse characters, there wasn't one person I didn't like (surprisingly, not even Paul). My Husband's Wives is beautifully written in such a naturally warm style that you can't help but open your heart to them, as they did to each other. 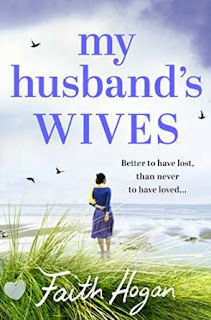 My Husband's Wives really is an outstanding debut from Faith Hogan and I highly recommend it. With such honest and touching observations, I'm sure Faith Hogan will very quickly become a firm favourite with many readers, including me! 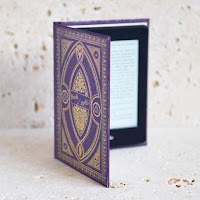 I received this e-book from the publisher, Aria/Head of Zeus, via NetGalley in exchange for an honest review.